NOTE: I'm getting several spam comments on my Thursday blog posts. I've changed the title to see if that will stop the spammers. When you leave a comment on THIS post by 6 p.m. CT Sunday, November 17, 2013 you'll be entered in the DRAWING for a copy of the book I mention below. If you mention in your comment that you’re a follower (see in the left column “Join This Site” and “Follow by Email”), I’ll add your name a second time in the drawing. You must be eighteen, have a U.S. mailing address, void where prohibited. You can read details about my book giveaways at Disclaimers. 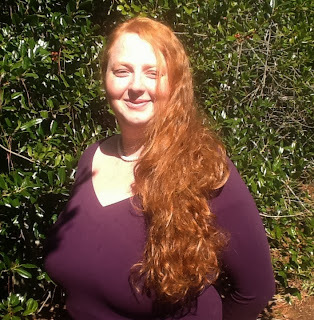 Our guest blogger is J.M. Downey. 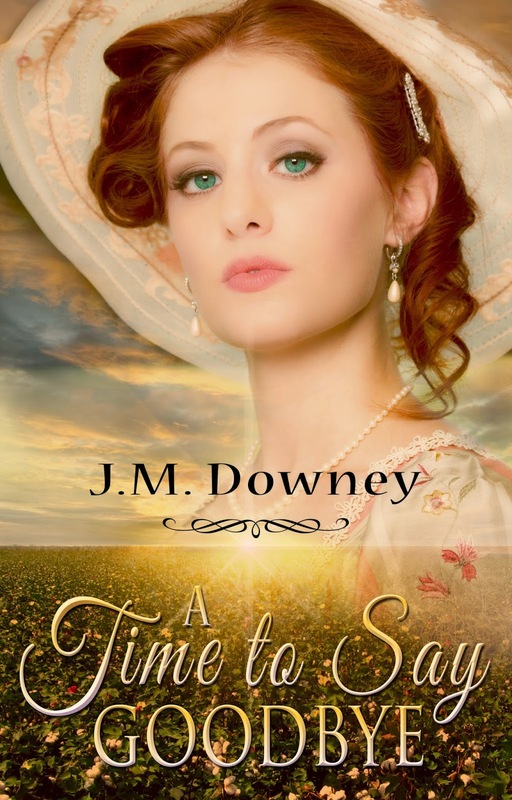 She is the Christian romance author of A Time to Say Goodbye and Bonds of Tradition. She has a master’s degree in English from East Carolina University, and currently works for a premier test scoring company. She is the mother of a precocious six-year-old girl, who enjoys bugs, snakes and superman. She enjoys southern cooking, reading and exploring emerging technology, but is best defined by her devotion to her faith and the empowerment of women in the modern world. I love to bake. I’m too sarcastic. And I love to travel. Reading. I usually read about a book to two books a week. I read pretty much anything besides Sci-fi and fantasy. For some reason I just can’t get into that genera. Emma Hardy. I wrote my master’s thesis on her. She was an evangelical feminist who had a strong desire to write and share her poetry but her husband, the famous Thomas Hardy, suppressed her writing. I tend to write on my couch buried under a blanket. My writing is usually done sporadically because I have a six-year-old who doesn’t understand the concept of peace and quiet. Please tell us about A Time to Say Goodbye. It’s a Christian Historical Romance. Cotton plantation daughter, May Lynn Whitley sees nothing wrong with owning others. After all how would they fend for themselves if it wasn't for gracious people like her family? But a handsome young preacher’s probing words and mesmerizing blue eyes unlock a new sense of justice and lead her on a journey that will change her life and soul. But she is betrothed and May Lynn’s controlling fiancé will do anything to make sure they wed. Anything including destroying all that she holds dear. Set in Antebellum America, May Lynn’s adventure spans the Eastern Seaboard as she joins a movement she once scorned. My main goal is to see Jesus use my writing to bring people closer to him. It is my prayer that when I get to heaven I get to meet one person who got saved because he or she read my book. I have been writing since I was a child. I can still remember my early short stories and novels, now lost to time. I’m currently working on the sequel to A Time to Say Goodbye. It’s written but now I have to undertake the long arduous process of shaping it into an enjoy story. Bonds of Tradition can be found at all the major online retailers in eBook form. A Time to Say Goodbye can be found in eBook and print on Amazon and in print only at Barnes and Noble. Thank you, J.M., for visiting with my readers and me. One of our commenters will win a copy of A Time to Say Goodbye that you graciously offered as a giveaway. Remember: leave a comment on THIS post by 6 p.m. CT Sunday, November 17, 2013 and you'll be entered in the drawing for a copy of A Time to Say Goodbye by J.M. Downey. Please, please remember to leave your email address. I’ll need your email address so that should you be the winner I can get in touch with you. I’ll announce the winner in Monday’s blog. Chris, thanks for coming by and leaving your comment. Glad you enjoyed the interview. Having our beliefs challenged is good for all of us. I enjoy reading about struggles in characters' lives. Martha, sometimes a challenge puts us through the wringer and it has to end beign good for us. Thanks for leaving your comment. I haven't heard of this book it looks good!! Michelle, glad you've discovered a book new to you. Thanks for leaving your comment. Enjoyed meeting J. M. Downey. A Time to Say Goodbye sounds intriguing. pat at ptbradley dot com I am a long time follower. Pat, how exciting to read about an author you've met. Thanks for leaving your comment. I appreciate you following my blog!! I loved the interview. A Time to say Goodbye sounds like a wonderful book. I'm glad Ms. Downey uses her wonderful writing talent's to point people to the Lord. Mary, glad you enjoyed the interview. Thanks for leaving your comment. Hey everyone, I hope you enjoy the book. I've finished the first draft of the sequel which will hopefully be out next year. Karen, thanks for reading and leaving your comment. If you win, hope you enjoy the book. Thank you for the wonderful interview and this wonderful giveaway. I am certainly keeping my fingers crossed. Melanie, you are so welcome for the interview and giveaway. Good luck in the drawing. Paula, you're welcome. Glad you enjoyed the interview and left your comment. I appreciate you following my blog!! Jo, thank you for the introduction to J.M. Downey. So glad to learn about new authors and their books. The book sounds wonderful. Looking forward to reading it. Thank you for the chance to enter this giveaway and please enter my name. Barbara, you're entered. Glad you enjoyed the interview and found a new author. Thanks for leaving your comment. Wonderful interview. J.M. I understand about finding segments of time to write. I absolutely LOVE this plot and time era! Should I mention I'm a fan of Gone With The Wind?" You got me wanting more. Got to have this book. I enjoy romances with strong-willed heroines who must learn life's lessons. Laurean, glad you enjoyed the interview. Thanks for coming by and leaving your comment. Maxie, glad you've found a new author to you. I appreciate you being a follower of my blog! Thanks for leaving your comment.